I am delighted to post another guest blog from my dear friend Alan Bedford. Alan speaks of something that we all do, we leave telling others how much we care, until it is sometimes too late. Thank you for your contributions Alan, I know this is something you have given much thought to. I am very grateful to Antonia for asking me to contribute more to her site. I hope I can live up to her mastery of the blog! I want my offerings not to be random, but fitting in with thinking about dying and relationships. This piece is about valuing each other, and not waiting til it’s too late to do so. In extreme cases, it is too late as someone has died before hearing how they are valued by those close to them, or the dying person has had the chance to say things they perhaps should have said before to those they are leaving. In other circumstances, a relationship might die as things that should have been said were not said, or if said, not heard. My father was a Methodist Minister, and good at death as he held hundreds of funerals with associated pastoral support, was a hospital chaplain throughout his ministry, and visited the elderly nearly every day. When he had bowel cancer, he wrote a diary which charted his developing illness and prognoses and how he felt about the world, his church, my mother and my brother and me. He was, like I was to become, very work focussed and even whilst he cared for his flock superbly, he wasn’t one for small talk or saying warm and cuddly things to Mum or us. Mum, as the minister’s wife, of course devoted her life to supporting his ministry as they did in those days – but she often missed out on the little things or a sense that she was sometimes put first. I don’t want to sound too critical as I had wonderful parents. They were both supremely kind, and thousands of people have a huge debt to them for the care given to them in various churches. But they were products of their time and upbringing, dominated by the protestant ethic and puritan beliefs and expectations. Most of my life I was always thought to be not trying hard enough, or as about to let the side down, or having too many holidays, or not dressing up warmly enough , or even for not wearing pyjamas! I have had very successful careers, and been pretty good at sport, but the abiding memory is of being found wanting. I know it’s because they wanted the very best for me- but that feeling sticks. One illustration that stemmed from me being known as a naughty child: one day –when I was about 8 the family was playing Chinese Chequers with an old family friend. I did one of those whizzo plays where you jump over a dozen pegs in a crazy zig-zag for a phenomenal move. Rather than praise my genius it was assumed I had pulled some crafty fast one. A never to be forgotten moment that still hurts over 50 years later. In the last 3 years of her life I visited my ever frailer mother every Sunday to take her to church and out to lunch. She took a phenomenal interest in everything I did, or indeed anything anyone did- and was the perfect Minister’s wife - but it was only then, in my 50s , when she spent so much time with me that she could actually say very positive things about me, and acknowledge that I was really a very good egg. It was great to hear. My Dad died 24 years before my mother- and in those diaries I described above he wrote in the most moving way imaginable about how he was looking forward to visits from me and my family, how proud he was of me, and how sad to the point of tears he was when I left after a visit. I had absolutely no idea he thought this as it was never said. I wonder why he couldn’t say it? I did know he was proud as he kept the newspaper cuttings of my appointments etc, but not that he was emotionally moved by my arrivals and departures. Whilst I have to accept responsibility for my adult foibles, my not actually hearing positive things- or sometimes being judged as not being good enough- had an impact on me at work and outside work. Over-sensitivity to being misunderstood (or thinking I was being misunderstood) . Being thought to be doing the wrong thing when actually I was doing it right, or where my good motives were impugned. Not handling rejection well etc … although the commitment to fairness which came from a sense of being unfairly judged has made me a great investigator, manager of complaints, and so on. 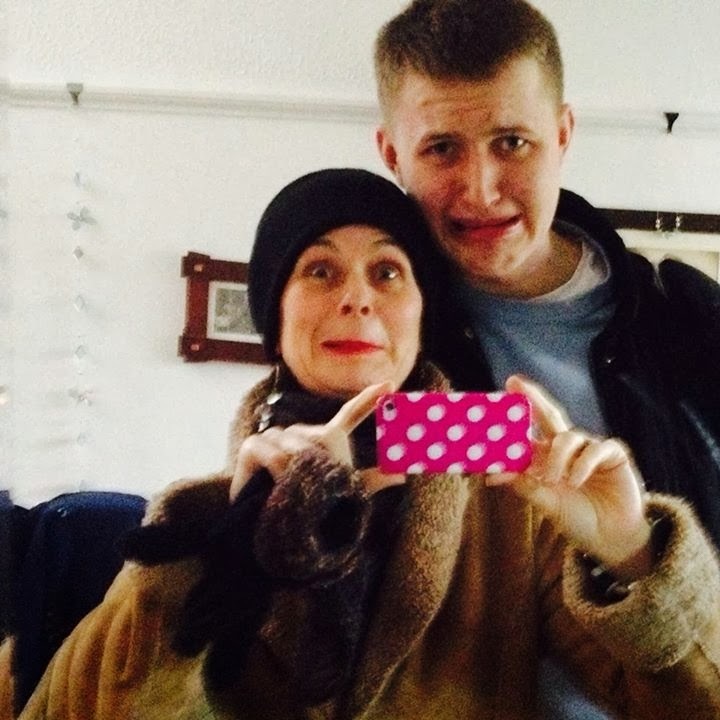 But worse- I can see how I treated my son Chris in a similar way. (He is keen I write this blog, so not betraying private stuff). We mutually worship the ground the other walks on (although I bet I haven’t told him quite like that! ), but as he was growing up I always wanted him to do better. He was when young probably the most skilful footballer I have ever seen, but if he scored 4 I wanted to know why it wasn’t 5. If he was talented at writing (he later got a first, then an MA distinction in creative writing) then why wasn’t he doing better at school, and if he had so such talent why wasn’t he fighting to be top dog, and so on. I wanted him to be like that as I am competitive and I was brought up with the expectation of being the best and being told off if I slipped. But fortunately he is not me, and he is the nicest kindest, put other people first, creative person, in a way that puts me to shame. He has got there despite my attitude of always wanting more from him, not because of it. And in his 30s, he has a vulnerable side stemming from not hearing enough praise from me, and if he was praised there was always the caveat about now do more. And if enough has not been said as death approaches then make those last months/days/hours count, and as I said in my last blog- it’s the relationships that count. Reconciliation is reconciliation whenever it happens, but it’s hard to do after death has intervened. Alan and his son Chris. The Artist Decides to be Adventurous at Some Point. After Lunch. The True Fairy 1, head and shoulders. Minus wrinkles and moustache. All explained below at some point. It is 5.30 am on a Sunday morning. It's a ridiculous time to write a blog. I got up at 5 am in order to take my car, filled to the gunnels with fascinating junk, to a car boot sale. I walked into the early morning air and was met with wind and rain. "Stuff this for a lark" I said with feeling, and went back inside. Fully dressed, full of purpose, I couldn't bear to go back to sleep. There is something very appealing about carrying on regardless at a time like this. I will not give in, I said to myself, I will make breakfast and have that. So in the dark, early, pre dawn hours on a Sunday in February, I made a pot of tea and some toast, and decided to do the blog. Here I sit then, fully dressed, two pairs of socks on, scarves and jackets, in my bed, full of plucky British spirit, fighting the urge to get back to sleep, writing this and drinking strong tea. The dawn is breaking outside, the birds are starting sing, and I can hear the Silent Pole quietly gathering up his things and leaving for the airport to go back to Poland. He appeared like a mist a few days ago and said that he had to leave on Saturday, and thank you. He is a regular lodger in this house, coming and going from time to time, as one does in Bognor Regis. He will be back. He always is. Even if I don't live here any more, he will find a way in through a gap in the wall, and find a place to sleep and work and no one will notice. I had a revelation yesterday, while reading a detective novel. The characters in the book had to take a boat to travel far, far away, and I was filled with a desire to get into a boat and go far, far away too. It isn't really about going somewhere, I suspect. It is all about the feeling of adventure. What I want is an adventure. Life is an adventure, I hear you say. Of course, but that is not enough. Last November when I took the A Graceful Death exhibition to Bridport, a little old lady scuttled over to speak to me and said Risks! You must take risks! It is in your stars! She went on to tell me that she knew things, and was a part time psychic. I thrilled to the idea, and have been toying with the concept of risk safely from my cheery house in Bognor Regis ever since. So far, any risks that I have taken have been tiny and tame. Like, shall I eat my lodgers out of date bread when she offers it to me or throws it away. Yes I said, and I lived. Shall I apply for a grant to take a break? Yes, and I got it. Shall I sleep in my clothes for two nights in a row and see if anyone notices? Yes, and if they did notice, they didn't say anything. So suddenly, having read last night that the characters in my book were embarking on a dangerous mission overseas, and feeling the salty sea air in their faces, I longed to do the same. I shan't be going off on a risky mission overseas, I don't like the idea of being cold and too far from a cup of tea, but I do like the idea of branching out and doing something a bit new. It's all about feeling brave. It's time to feel brave. Take A Graceful Death to America. Are Americans ready for portraits of dying people? I don't know, I had better go and find out. Move house. A nice little cottage somewhere just for me with a hole in the roof for Giant Boy to get in and out from. A bit like Gandalf visiting Bilbo Baggins in the Lord of the Rings. Go away in a camper van on my own and pretend I am someone else. Have an exhibition of the True Fairy paintings when I have enough of them. I have four at the moment. Thing is, they are all obviously based on me. And painted as if I had no faults or blemishes. A series of images looking suspiciously like self portraits painted only when I am looking really nice. I would have to practice looking modest and apologetic, as if it really wasn't my intention, that all these paintings, by me, of the true fairy, based on me, are so amazingly attractive. Better do one with a moustache and wrinkles so I don't look too deluded. The True Fairy 2. The words say "there is distance behind me, and space ahead" And still no wrinkles or moustache. The dress here is not black, it is the deepest of blues. Beautiful. It is fully light outside now. I have been tapping away since before dawn, and I am still sitting fully dressed in my bed. While I have been writing in that pre dawn haze, that other worldly zone as day slowly arrives in Bognor Regis, writing and thinking in the wee small hours when only lonesome Poles are up and about and leaving the country; while I have watched the bedroom fill with the light of a new day, I have booked a self catering holiday in Saddleworth, Ooop North. I am going to visit my friend and colleague Gail, who runs Elizabeth Way Funeral Service in Mossley. This is my adventure. Gail has bought a painting, and this is a great way to deliver it. Hello Gail, here is your painting, I am here for four days in a cottage near you, let's play! What's for tea! I had better check that Gail will be around. And now. Before I go and begin the rest of my day with a nice hot bath, here is a quick run down of Artist Extraordinaire News. Hem hem. Next weekend, Eileen and I are going to stay with our dear old friend Rhona, at her home in Dublin. A documentary film maker is coming this week to talk over making a film about end of life and people working outside the norm. A Graceful Death is outside the norm, so she is coming to try a bit of filming with me and Claire Rudland, who is a Bognor lady and is painted for AGD. This is an adventure, she may not want to use AGD but you never know. Claire Rudland, articulate and beautiful. We get along famously then. I am still doing my Jesus on the Tubes. The Jesus I have just done is blowing bubbles. I will be talking about AGD to St Heliers hospital in Surrey this week. Next week, I will be talking about Swansong Stories and AGD to the Martlets Hospice in Hove. I must look serious. A Graceful Death exhibition is coming to St Peter's Church Preston Park, Brighton! 20 to 23 May inclusive. We are currently inquiring whether portaloos can be placed outside. There are no loos and we aim to sell tea. This is where attention to detail really matters. I am going to Saddleworth to stay in a cottage in March, so I can follow Gail around like a devoted limpet, as she goes about her work as a Funeral Director. Gail has messaged me to say yes, I can follow her around. And finally. My guest blog on Wednesday this week is from Alan Bedford, who has worked in the past for the NHS as, amongst other things, a hospital Chief Executive, and now concentrates on writing serious case reviews for child protection cases. Alan will write about how despite doing very well at most things, he always felt growing up that it wasn't good enough, and ow this affected him and his relationships with others - with the risk of doing the same to those he loves. Alan's blog will resonate with us all, and is something that we all understand. I'm off to have a bath! Must be nearly lunch time! A nice early lunch at 10 am, yum. Very smug. Fully dressed, in bed, longing for lunch, but just too comfortable. This is what I must base the next True Fairy on. I am delighted to have Soul Midwife and dear friend Mandy Preece write a guest blog for me. Mandy has much experience sitting with the dying and their families, holding the space for them and helping to enable a peaceful dying. She is attached to her local Macmillan Unit, teaches at the school of Soul Midwifery run by Felicity Warner, and is a trainee Home Funeral Celebrant. Mandy has much experience, and is the happiest, jolliest, most loving lady. Over to you my friend. I am hyper-aware focussed on your breath, alert for any change. to sit with the ebb and flow of your remaining life force. that you will leave and I will stay. the observer of your final journey. to be the witness to your journey. I finally sleep next to you. I am so very tired. You pass into the light; and when I awake my life has changed forever. That is the story of my mum’s final days as I sat in vigil with her. The art of vigiling is as old as time – to sit with a dying person, to honour their journey by being a loving presence next to them. When my mum died, I sat with her because I loved her and didn’t know what else to do. Now I know that if sitting with someone, holding their hand, is all you do – you have done enough. I have since trained with Felicity Warner at the Soul Midwives’ School as a soul midwife (www.soulmidwives.co.uk). Soul Midwives work with the terminally-ill from point of diagnosis to death. We can teach our ‘friends’ (the name we give the dying people we work with), breathing techniques, meditation (or what I like to call ‘finding your happy place’) techniques to ease pain and anxiety. We can help with death planning. Where would you like to die if you had the choice? In your bed, swaddled with soft blankets? Outside with the sun on your face? That’s my choice! By the sea? In your garden? Who would you like with you? Would you like loved ones at your bedside or, like my mum, would you like to drift away when no-one’s looking. Soul midwives can often help therapeutically – some soul midwives are Reiki practitioners, aromatherapists, reflexologists or trained counsellors. Soul midwives also recognise and work with four distinct stages in the dying process – and can adapt healing techniques to match each stage. Recognising these four stages are the cornerstone of our work – they act as a map of our friend’s journey and help us assist our dying friends by recognising these signposts. And, at the end, we can sit in vigil. We can be a steady presence in the dying room. Begin by creating a loving space. Providing a good atmosphere in which to die can be invaluable. If your loved one is dying in hospital, it can be difficult to create the perfect ambience. However, there are many things that you can do to make a room or bed space more restful and pleasant. If your loved one is dying at home, try to create a beautiful and personal space for them. Above all make the room personal – it should reflect the very essence of the dying person and should be an uplifting reminder of happy times, hobbies, holidays and moments shared with loved ones. To sit in vigil and witness someone’s journey towards death and beyond it is an honour. If you have helped someone achieve a good death it is also a pleasure. It is deeply humbling and deeply life-affirming. Sitting in vigil is sacred. There is a sense of time slowing, daily concerns drift away; there is a sense of ‘beingness’ – just being in the moment – sharing a journey with honour and love. My mother is dead, but her legacy to me leads me on in the work I do. I thank my mum for bestowing me this gift and I hope to do her proud. A peaceful Sunday afternoon. I sit on the correct sofa in my lovely sitting room, with a pot of tea and some lunch, and think of Father Dominic Rolls. And so, this week, we will start with my youngest brother, Dominic. Father Dominic Rolls is a Catholic priest running a huge parish in Dorking. He is also my youngest brother, (I have three brothers). I remember my mother bringing him home from the hospital for the first time. Dom and I did not get off to a good start, I had requested a girl called Julia and my mother brought home a tiny cross eyed boy called Dominic. It was not what I had ordered at all. Poor Dominic spent much of his first year in and out of hospital having his eyes corrected, and so I don't remember much of him in the beginning, but I do remember his presence being one of sweetness. I also remember my other brothers and I thinking that his crossed eyes were brilliant, and it wasn't fair that he had them and we didn't. We used to take off his eye patches to get at the little plastic tube within each plaster to help ventilate his poor little eyes. Dominic was so little, and so sweet, he was in effect, a sitting duck. Having been trained for the priesthood in Rome, Dominic was ordained in 1993 at Arundel Cathedral with huge celebration and joy. 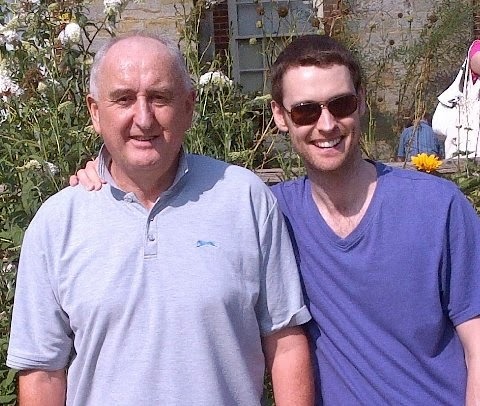 Last week Dominic, at 50 years old, was operated on for stage four advanced bowel cancer. There is a suspicion that it has spread to his lymph glands and possible spots on his liver. Dominic had had no symptoms, except that he had been continuously very tired and under the weather, and had gone to his doctor. 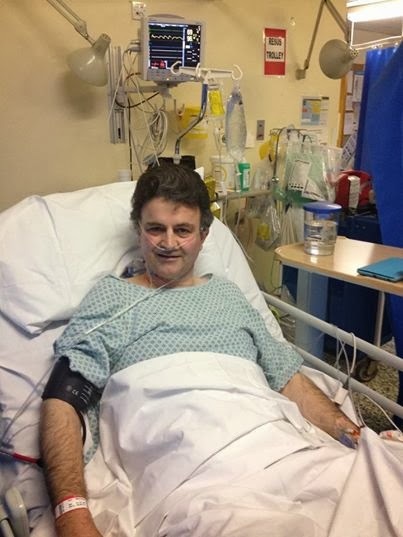 Within two weeks, he had had to wind up his affairs in Dorking, hand over his parish to another priest while he was away, find a place to go to after surgery, and undergo drastic surgery to remove the tumour. The surgery involved removing much of his bowel, in fact, to me, it seems as if much of his lower stomach has been removed. Dominic has moved suddenly from being a busy priest looking after an enormous parish single handed, on call night and day, being a teacher at a local Seminary (where new priests are trained), being a speaker at conferences on issues of faith, and being a jolly nice, kind and deeply dedicated fellow, to being extremely ill, his prospects of life and work uncertain though hopeful, and unable to look after himself for the near future, and utterly powerless and still. I love Dominic, he is my brother. Not only that, he is my youngest brother. I want to help him, I want to be on hand, I want it all to go away, but I remember him over the past fifty years being just Dominic. Now, instead of me being there for him with a gentle presence, I am needing him to help me. I am needing to hear him say he is OK, I need to see him smiling, I need to hear my other brothers and my mother telling me he is doing well today. I know that this is testing Dominic deeply, and now more than ever, his faith has to carry him along. As a priest, he is required to say his office every day and if he can, to say Mass every day too. In the hospital, on the ward, he will do the best that he can, but everything is different now. He is weak, he is having to start again, and nothing is certain at the moment. This whole year is given over to very drastic and dramatic treatments, and we know that difficult times are ahead. In fact, they have started. Dominic said that this will teach him to be a living prayer, to do the best he can from his illness, and I think he is right. But goodness me, this fellow that I wished was a girl called Julia, is taking on his cancer not just for himself, but for all of us, his family, and the whole of his parish and beyond, too. Father Dominic Rolls, not Julia. I have accepted he is not called Julia. In the studio this week, I have been painting Jesus on the Tubes. I have been plugging my earphones into my laptop, and listening to eight hours of rain sounds on You Tube. Yes, there has been real life rain falling outside, and yes the wind has been throwing trees, bushes and things in my garden around like confetti, but I have found that I can forget the world, become one with whatever I need to, and tune in to a recording of someone else's rain fall somewhere else in another part of the world. Real life doesn't do it for me, it has to be on You Tube. I delivered one nicely completed framed Jesus on the Tube last week, but as it's a present for someone, I dare not show it to you in case it has not been presented yet. A Graceful Death news - oh the Brighton AGD is going to be so good. Team AGD Brighton, those amazingly talented and hard working folk that I am honoured to be working with, have come up with such good speakers and ideas for our talks and workshops within the exhibition. A Graceful Death, the exhibition and project, is next showing in from 20 to 23 May, from 10am to 6pm, in St Peter's Church, Preston Park, Brighton. It is part of both Dying Matters Awareness Week, and part of the Brighton Fringe Festival. For the four days that it is running, entrance is free, and the talks, workshops and discussions on matters to do with the end of life are also free, but donations are requested. As soon as the speakers are confirmed, I will let you know well in advance who they are and what they will be speaking about. This particular AGD will involve speakers from the medical professions, doctors, consultants, nurses and lecturers from Brighton University. We are also hoping for input from the Chaplaincy at Brighton Hospital. "The Swan Song is a metaphorical phrase for a final gesture, effort, or performance given just before death or retirement. The phrase refers to an ancient belief that swans sing a beautiful song in the moment just before death." It will be part of the A Graceful Death project, though the work that is created will be private and just for the individual I am working with. Swan Song Stories is something that I am creating just now, and it has met with much interest. More on this as it unfolds. Before I conclude, I have two guest bloggers that will be published on this blog on the following two Wednesdays. This Wednesday, the 19 February, Mandy Preece has written a very personal and beautiful piece on Vigiling, sitting with the dying and their families as the dying occurs. Mandy Preece is my dear friend, esteemed colleague, and a very experienced Soul Midwife. She works within the Macmillan Unit of her local hospital, and is on call for the last hours, minutes and moments of life, supporting and sustaining all those that need her at that moment. She is a wonderful, kind, funny lady. Read Mandy's guest blog on Vigiling next Wednesday. The following Wednesday, 26 February, Alan Bedford has written about not leaving what you want to say to those you love, until it is too late. Alan is a dear and supportive friend, has had a very successful career as an NHS Hospital Chief Executive, currently working deeply and at a very high level within child protection, and has links to hospice work. Alan will write about how despite doing very well at most things, he always felt growing up that it wasn't good enough, and how this affected him and his relationships with others - with the risk of doing the same to those he loves. Alan's blog will resonate with us all, and is something that we all understand. Now, I am going to cook. Giant Boy has come in and asked for sausages. Doesn't matter how much I write and want to get lost in my wonderful arty world, Giant Boy will always need feeding. I can imagine working on a deeply imaginative Swan Song project with someone who needs to get it finished, when I am handed the phone. I will have to go, I will say in a fluster to my person, Giant Boy is hungry! Go! They will cry, I understand. I will hang on, come back when he has had his pudding, and all will be well. This is the son of the person who ordered a girl called Julia in 1963 and got a priest called Dominic. Giant Boy's face says it all. Gongtastic in Glastonbury. Helping my Sound Therapist Friend at a Glastonbury Fair. I am in Glastonbury. I am not alone. In our twin roomed B&B, snoozing in the bed next to mine, in her pink nightie, is my dear Sound Therapist friend and colleague Sarah Weller. Sarah uses Gongs and crystal and Tibetan bowls in her treatments, and from experience, I can tell you that her treatments are very powerful indeed. One lies on a couch, with an enormous Gong on a stand at each end. Both Gongs are controlled by Sarah, who rolls the deep, vibrating sounds from a low rumble almost like an oncoming tropical storm, to overwhelming waves of sound that engulf you and make your hair stand on end with the power, and all the stages of sound and vibration in between. At this fair, the Glastonbury Magical Art Fair, Sarah is offering taster treatments so that all may experience the effect of the Gongs. Sarah has 11 Gongs of differing sizes. Some are absolutely enormous, others are not so large. All her Gongs are musical instruments, and all are slightly different. They are massively expensive and as precious as life itself to Sarah; no one else is allowed to touch them unless they have clearing from MI5. I am here as her helper, and my job title is Gong Elf. Sarah and I work together often, and not only are we a very good team, we always end up having an absolute hoot together. But, I am not allowed to touch the Gongs now because my first job today was to carry in the statue of the Buddha from the car park to the hall, and I dropped it. Though the Buddha, bless him, bounced and did not break, I have only been allowed to carry boxes and cushions and handbags since. Let me ask Sarah why she is here and what she thought of today. Sarah! Wake up! Why are you in Glastonbury? And Sarah sighs, yawns, and says, "It's a very good question. When I said the sentence I shall Gong in Glastonbury, it sounded right. Yep." She added, " I had no idea what to expect. It was like a blind date with Gongs." What, I asked her, was the best thing about being a Sound Therapist with Gongs in Glastonbury today? 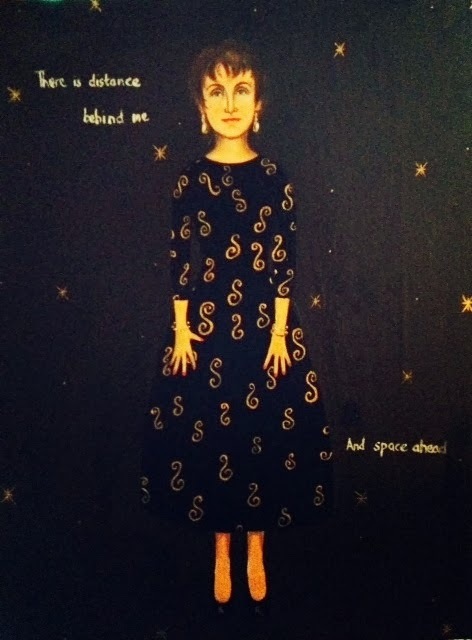 "It was probably the people I met really, in terms of the unexpected connections and the interesting conversations that followed. It was very good doing a treatments for people today who had had no experience of Gongs." "Lugging the huge Gongs from carpark to the venue, carrying such heavy equipment. The setting up was fun, but carrying the equipment in at first was really tiring." (Here I cringe because I wasn't allowed to help, being a Buddha Basher, so poor Sarah decided it was safer for her to take all the most expensive and extraordinarily heavy stuff in herself. I was able to speak words of encouragement though, as she staggered along, and I tell her it was the least that I could do). What kind of treatments did you offer today? "Just relaxation sessions for people and a chance to experience a Gong if they had not had any experience before. It isn't appropriate to offer therapeutic interventions in a public place such as the Town Hall where we were today. There is no opportunity in a Fair setting to do any diagnostic work and there is no privacy for important therapy work or treatment. So people were able to recline with cushions and blankets on a reclining chair, and to experience a gentle wave of relaxing sounds from the Earth Gong." Sarah gonging in a taster session this morning. The sound of the gongs is mesmerising, it is easy to get lost in the experience which is why it is good to lie down and put a blanket on. At this point Sarah went back to sleep. She had been dealing with people from 8.30 this morning until 5.30 this evening, it is more than understandable that she should want to sleep now. I on the other hand, being her Gong Elf, had much less to do. I am not yet ready to sleep, the whole night is ahead of me, and I have the tea making facilities, the telly, another bath and my laptop for entertainment. We have finished the biscuits, so there is nothing left to eat, but that is not a problem because we have eaten a very sustaining and substantial dinner tonight, and there should be no question of any more biscuits after the standard packets left in our room today by Greg, our B&B host. I am going to stop now, and continue this tomorrow after our second day at the Magical Arts Fair. The second day is over. I am home and it is Monday morning. The second day was extremely good, there were a steady stream of people wanting to experience the Gongs, and Sarah had to carve out a few minutes in the late afternoon to sit and have some tea and carrot cake. The effect of the Gongs on people is very visible; after a session they are calm, rested, thoughtful and much happier. I was sitting opposite at my own rather ramshackle AGD table, and I could see the difference in the Gong recipients. Before lying down and having the blanket placed over you, and the cushions, should you want them, adjusted, the brave soul looks faintly alarmed. A Gong is a big instrument, though Sarah is offering a gentle, deep and powerful healing experience with them, there is the possibility in the mind of the patience that she will take a notion (which she never does and never will, she is too highly trained and intelligent and intuitive) to hammer the living daylights out of it and give you a heart attack. After the treatment, after the amazing effects of the soft, strong, deeply controlled and very powerful Gongs, patients are transformed. Something has shifted, they are relaxed, calm, thoughtful. As Sarah starts her treatment, you fall into the vibrations and resonance of this massive instrument, and you trust Sarah completely. We, in the side room at the fair, the only possible place to put the Gongs, are probably light years ahead of the rest of the world, we had two days of lapping up everyone else's treatments. As for Sarah, before we set off home she needed a stiff pot of tea and a sit down. "I am still resonating," she said as she sat down in the cafe with a spaced out bump. And so she was, after two days of continuous Gonging, if I could see her aura, she would probably be shimmering like a mirage. "Come back Sarah!" I said, "you have to drive us home!" to which she smiled and said words to the effect of feed me and all will be well. I wonder if she went to bed last night giving off a distant and primordial hum, soothing both her husband and dog without even having to even say Gong. An excellent meeting on Friday with Team AGD Brighton. We are planning talks and discussions for the next exhibition, which is Tuesday 20 May until Friday 23 May inclusive. Team AGD are providing the most fascinating, educated and interesting speakers at this AGD. I must wait until we get a reply saying "Yes please!" from our speakers before I say they will come, so please watch this space. Glastonbury provided for me some absolutely fascinating people. I set up a stall with information about AGD, and talked over what I do, and listened to what came my way. I aim to find a way to come to Glastonbury now, I am inspired by the people I met and feel it would be beneficial to bring the show there. Jesus on the Tubes - they are coming along. The first one is finished, and it needs, as they say in the building trade, snagging and so I am tweaking it before framing it and handing it over. On to the second one today. I sit in my studio with the heater on, and listen to the radio. For the whole day. Is that not a very enviable way to spend a day? Especially after absorbing gonging for two days, I may not be able to draw a straight line, I may have Jesus, after a Sound Therapy session, wobbling on the tube with the commissioned family who are also vibrating gently. AGD goes to Southampton before the Brighton event, to the A Dead Good Day Out event on 10 May. More on that as it progresses, I am going to meet the organisers this month and view the venue where I will be setting up, I will tell you where it will be then. AGD will be part of a huge event with loads of other stalls, events, fun workshops, and so on. It will be a really good family day out, it will be on the subject of end of life and is part of the Dying Matters Awareness week. It is, in fact, a Dead Good Day Out. And now I must give Giant Boy back his laptop. I was so Gonged out last night that I spilt my tea all over my laptop as I sat in bed hoping to do the blog before I slept. Not a chance. Now my laptop only does yyyyyy or rrrrrr. Sound Therapy with Gongs, Crystal and Tibetan Bowls, Reiki Drumming, Sound Baths are just a few of Sarah's treatments. See her details below and give her a call. Om. Or as my laptop says, yyyyyy rrrrrr. Have a good week all. Connections and Relationships at the End of Life. A Few Thoughts. I have a thing about relationship. About connection. How do we go about it in our day to day lives? We do what we do and sometimes it works, sometimes it doesn't. Despite feeling low if a friendship, an affair, a partnership, doesn't work, we carry on because life carries on, and before long we are forming new relationships in whatever form, with whoever we chose, for whatever reason. The thing is, sometimes we learn from our connections, sometimes we don't. Often we don't know that we can learn. We carry on meeting each other, bonding, not bonding, trying to get along, succeeding, failing, becoming bored, moving on, staying close forever and so on. When someone is dying, it is possible to become very close, for a while, because the ordinary rules of not getting too involved, too quickly, waste time. The connection that you form when there is limited time, can be profound. This is what I think, and bear in mind that I am a privileged observer. I am an artist who works with people at the end of life through creativity. When I meet someone through the A Graceful Death exhibition, we are working towards something. A portrait, an interview, an article, a short film. I also do voluntary work with the dying in another capacity in my area, and not only do I meet some very interesting people at the end of life, I observe and learn from some truly excellent palliative care professionals. The thing that I have found most rewarding and most difficult, is the relationship formed within no time at all with the dying. I am not a friend, a family member, a therapist, a medic and as such, I am boundless. I am just Antonia. There have been many times when we have by passed the normal polite conventions of asking each other questions, taking time to get to know each other, being reserved and restrained, we have dispensed with that and gone straight into some very profound talking. I have had to learn that this is the way it is, and to have the relationship with this person for as long as is needed, and then if required, to move on. It is a revealing experience. It tests my strength, my spirit, my love, my boundaries. It tests my intelligence too; some of the times spent with people who are dying, shows me the depth of their thinking, and sometimes, I struggle to follow. Let me describe my last conversation with Caroline, who is a wonderful example of this. Caroline was surrounded by her friends and her beloved partner. All the care she needed was at her finger tips, she had terminal cancer, but still she was afraid and, in private, struggling. One afternoon, I saw her alone. Oh, she said, Listen to this! And she began to tell me about time, space, and the connections between the two. She held my gaze with such intensity, I couldn't look away. She had a pen and paper, and drew me a diagram to illustrate this revelation that she had had, and I sat with her with a dreadful feeling of inadequacy. I did not understand a word. I hadn't a clue what she was talking about. It didn't seem to matter, Caroline was inspired and when we finished talking, she was happy and I took the diagram away with me. Not only have I lost that diagram which I regret terribly, but Caroline died just after that visit. She taught me a valuable lesson, she taught me to just be there and not to try too hard. She taught me to let go of myself and to enter into the experience and to connect with her, to just do it. I consider that afternoon with her a precious gift. A learning curve. It helped me to know how to do it with others. Caroline, full of fun and gone too soon. Recently, I sat with an old man in his nineties. He was an elegant, tall, intelligent man, and he began to speak and I began to listen. When someone begins to talk, to really talk, I never know if it will take time, or be just a few remarks that are not intended to go anywhere. As we sat together, it became clear that he had quite a bit to say. We spent a long time discussing what he thought about religions, about how life had changed over the years, and how it was important that he stay alive, fighting his obvious terminal condition, so that his beloved wife was not on her own. "She needs to go first," he said. "I have a duty to care for her." And the most interesting thing was that having been a life long member of the Church of England, he was now most aligned to Buddhism. "I just don't know," he said. "The older I get, the less religion means to me. Is there anything after I die? I used to know but now I don't. But I see spirituality everywhere around me, I don't know that it continues into anything after my death." As I left, much later, he said thank you. He had not been able to spend time talking, and thinking aloud, because he didn't think he could. "It's nice to talk to someone who doesn't mind what I say," he said. The funny thing is, I don't remember his name. I remember his face, his eyes, his words, his presence, his beauty, I remember his wit, his intelligence his dignity, but I do not remember his name. Sometimes I fall a little in love with someone I am visiting. The first time this happened was with an lady in her late eighties, who was so full of spirit and wicked fun that visits with her went on for hours and hours. Not only was she fun, she was noticeably the most beautiful lady for miles around. Her looks had been her fortune, she had been a model in her youth. Quite suddenly, she became very ill, and by the time she died, she had become frightened and confused, and though she was tiny to begin with, she seemed to grow even tinier as she declined. I wanted to scoop her up into my arms, and keep the cold away from her, I wanted to make sure that she saw beautiful things as she faded, and when I was with her, I wanted to hear her laugh again. Her last words to me were, "Tell me about your love life". Our relationship lasted only a short time, but it taught me that it is sometimes necessary to give all that you have, to allow the love to show, to let yourself be vulnerable and to learn to let it go at the end, and to move on. The last part, the letting go and moving on, is something I am still learning. This lady had no time for formalities. She needed this connection, she needed it now, and she needed it this way. She could be truly herself with me, because I had no way of knowing what the official story of her life was. I took her entirely as she presented herself, and because I knew no better, not having a clue who she was before I met her, she was free to be truly who she wanted to be. I cried at this lady's funeral, and I miss her still. But what an experience! What a lady. I hardly knew her either. How amazing. Another time, I sat with a lady who could not understand why she had not yet died. She had been given very little time and yet, she was still here. "Why?" she said. "I have been prepared and ready to go, I am tired. I thought I would be dead by now. My friends," she said in her very soft voice from a bed surrounded by flowers and crisp clean sheets, "my friends don't want me to go. They come and I have to explain again and again that I am not afraid, and that they must not be afraid either. They cry and ask me not to leave them." She paused and then said, "That is why I have not gone yet. I still have work to do to help my friends understand. When they accept it, I will go." And she did. I wonder if her friends recognise the quality of the gift she gave them, to help them by her example of dying, to fear it less and accept it more. In sitting, visiting, speaking with those at the end of life, we take a risk. The kind of relationship that we are used to in our daily lives, can be turned upside down by the connections we can make with those who are dying, and who have no more time for testing the waters. We become close in no time at all, we make ourselves vulnerable because that is how we allow a true connection. It makes me think of true connections in the busy world away from the dying. It makes me think that perhaps fleeting connections with strangers where we offer a kind word, a gentle look, a gesture of empathy, may do more good than we can imagine. We are told that we don't know the people around us. I don't think that we have to. But imagine the effect of being courteous, kind, thoughtful, responsive to those around us in the streets, in shops, in our lives, just in passing? I know this is all old stuff, it's not new, but just imagine that you actually had a go? And now, to ease your connection with what I am up to at the moment, I will present the following updates in bullet form. This is my gesture of kindness to you in passing. Jesus on the Tubes. Remember recently I had a special offer on, Half the Price and Double the Love for Valentines Day? I now have a healthy batch of Jesus on the Tubes to do, each with a custom designed Jesus to sit next to the commissioning families at a tube station of their choice. As most of these are secret presents for someone, I will say no more at the moment, and post a picture when they are not only completed, but unwrapped and put on the wall with whoops of delight. 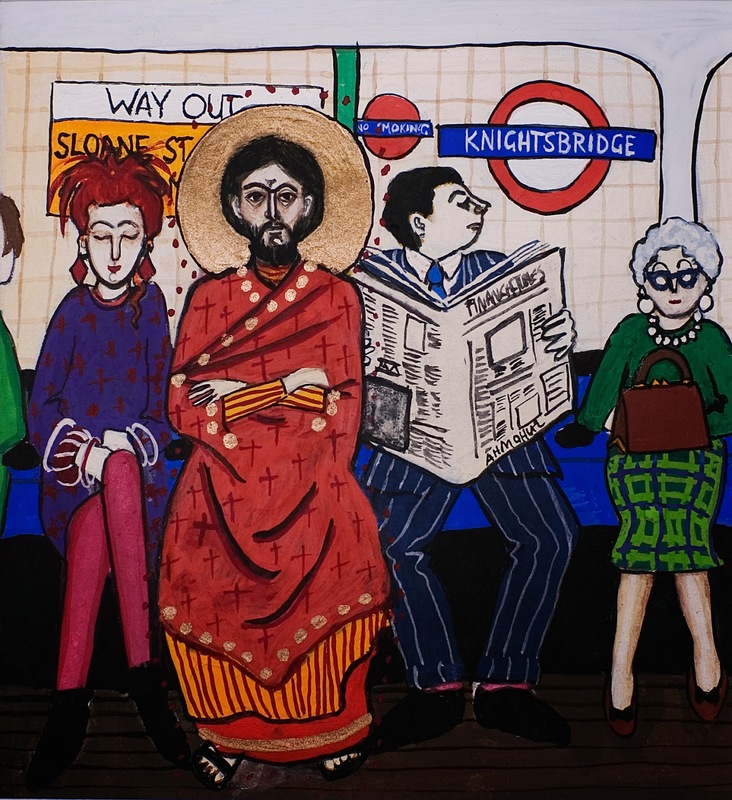 The original Jesus on the Tube painting. From this I paint people, families, friends, next to a Jesus of their choice at a tube station of their choice. Talks and Presentations. I have three talks to give in the next few months. I offer myself to talk about the work that I do, and I shall start this year by speaking in London to St Helier's hospital, at the end of this month. I will be speaking about working as an artist at the end of life, and the stories of the people that I have worked with. In April, I shall be speaking to the Friends of Sussex Hospices Ladies Luncheon Club. The lady who booked me said that she had heard that I could be quite amusing. Would I be amusing for my talk? Yes I said. And finally, next month I will be meeting with a Hospice in East Sussex to discuss a new way forward of working with the terminally ill through art and words. Writing. A two part article that I wrote on A Graceful Death was published by the online journal "ehospice." In April I will be writing a guest blog for the Dying Matters Coalition. Fab. A Graceful Death. I have two exhibitions coming up. On May 10 I am taking part in a Dead Good Day Out in Southampton, which is a day of events, activities, fun, learning on end of life matters as part of Dying Matters Awareness Week. 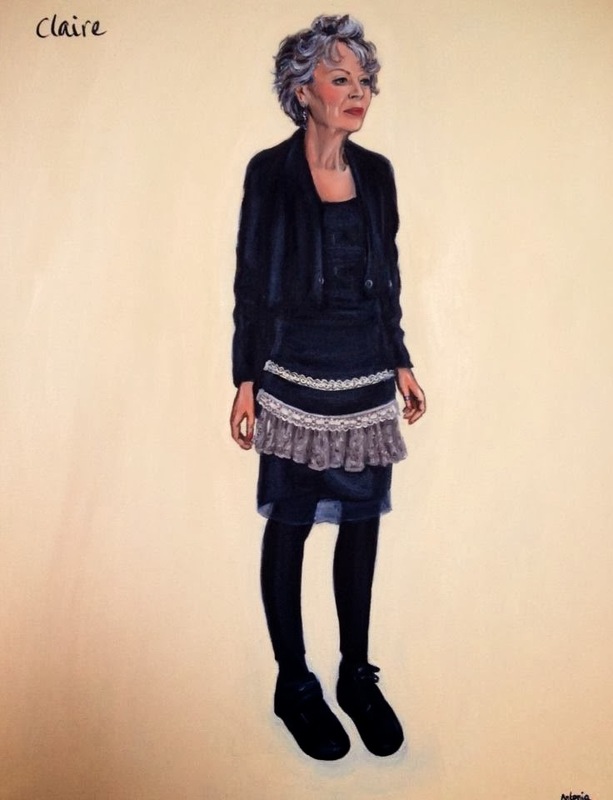 At the end of May, also part of Dying Matters Awareness Week, A Graceful Death will be showing in St Peter's Church Preston Park, Brighton from 20 to 23 May. It will also be a part of the Brighton Festival Fringe. Alongside the exhibition, there will be music, discussions, talks, events and as ever, cake. I have, again, a wonderful AGD Team for this event, and we are holding our first major planning event over a fab lunch in Brighton this coming Friday. Swansong Companion. I will introduce this to you today, and write more on it as it develops. I am looking to work with people who have a terminal diagnosis, on a one to one basis as an Artist. It is not dissimilar to the work I have done within the A Graceful Death exhibition. 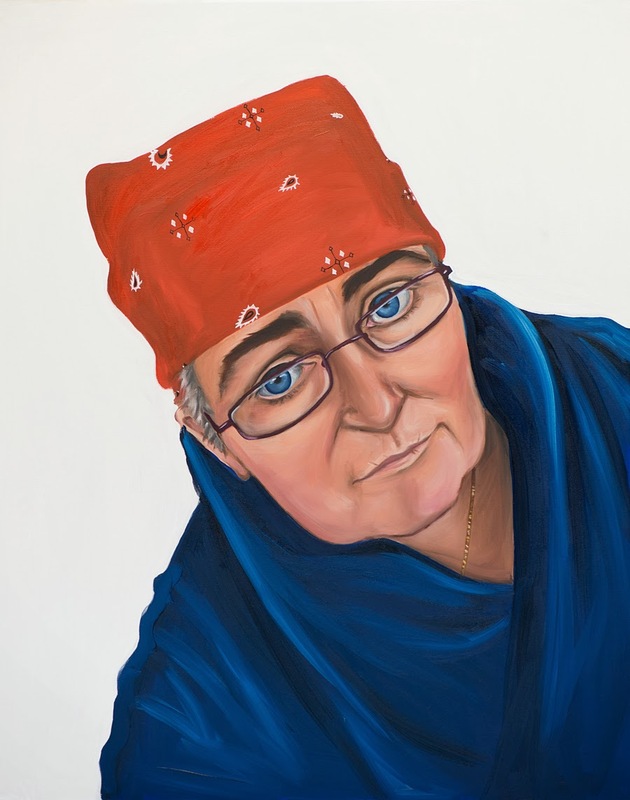 I aim to offer the use of Art - painting, drawing, collage, and Words - poetry, stories, thoughts, recordings, to help express whatever it is that a person with a life limiting condition wants to express. It will be something to leave behind, to exhibit, to give to someone, to take with them in the coffin, or simply to see what they can create, for the sake of it, for themselves. I see this as being especially relevant to younger people. Teenagers, children, for whom there is so much to say and very little time. And so! That is enough for this week! Like you, I need a cup of tea and a biscuit. It is late now on Sunday night, and tomorrow is Monday. I love Mondays. Everyone goes away to work or college, and I can wander alone from room to room in my slippers and whatever I slept in last night. My dear friend, the writer Olivia Fane, is coming in the morning. She is amazingly expert with relationships and I am prepared to be deep and intense from the moment she steps into the house. The nice thing about Olivia is that I can test out my relationship methods on her and get feedback, but our role play usually descends pretty sharpish into gossip about who we know and what they are doing, so the deep and intense thing doesn't really last for very long.